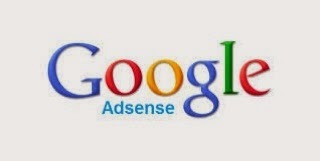 Google Adsense is the top and best way to earn money online with the advertisements. Top blogger also use to earn through Google Adsense. Adsense is not only applicable for blogs or websites but also there are many other ways by which we can earn by google adsense. Display ads on your blog or website that are related to your content. Website owners are able to display image, text or video advertisements. The earning is based on the clicks or impressions on the ads. Adsense for search is the version of adsense that runs on RSS and Atom feeds. It can also generate enough revenue to you, so give it a try. Adsense allows blog/website owner to place Google search box on their site. When a user searches through that box, 51% revenue made through the ads is shared with the website owner. Make the revenue with the Google ads on your mobile site. Google matches the advertisement with the content of mobile site. Many people are already earning with this way. Google Adsense can also be used to earn money by placing ads on the youtube videos. According to the number of video view, video owner earns money. Hubpages provide you easy access to the internet’s top income generation tools as Google ads, Amazon and ebay. The opportunity to earn more over time simply by writting good content as content is the King. Flixya is a social network that shares 100% ad revenue. They have built tools to share photos, videos and blogs. You can also make friends while earning. Google Affiliate is another way to earn through Google Adsense. It connects the Advertisers and Publishers who wants to increase their sales and drive leads through the affiliate marketing. You can also earn by referring friends.